The Historic Home on Hurd is just that. It was built in 1915. A Sears & Roebuck kit arrived via train in downtown Edmond and the entire town built the home. Today it's remodeled and decorated with photos of downtown Edmond and the hometown university - The University of Central Oklahoma. Located in the middle of the quaint downtown you will love the coffee shops, pubs, boutiques, and local flare of our town. Totally remodeled bathroom with tub/shower combo. 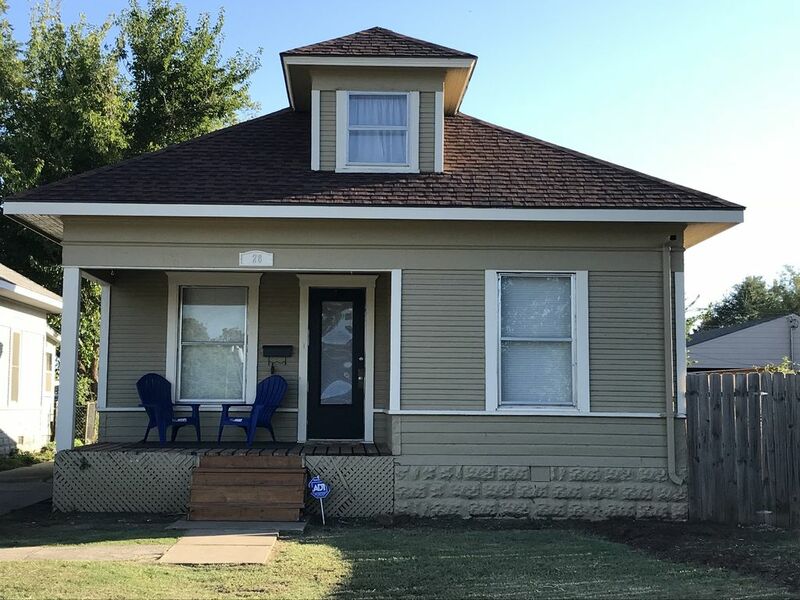 This historic home is right in the middle of quaint downtown Edmond. This beautiful kit home as a historic dining room with original pocket doors. Apparently, there was a overbooking issue when I booked the property, but the owner was gracious enough to give me my full refund. Hate that this happen and HomeAway should look into this issue further. The Historic Hurd Home is located right in the middle of downtown Edmond. Many bars, restaurants, museums, parks and nice walking opportunities. The University of Central Oklahoma is just up the street.